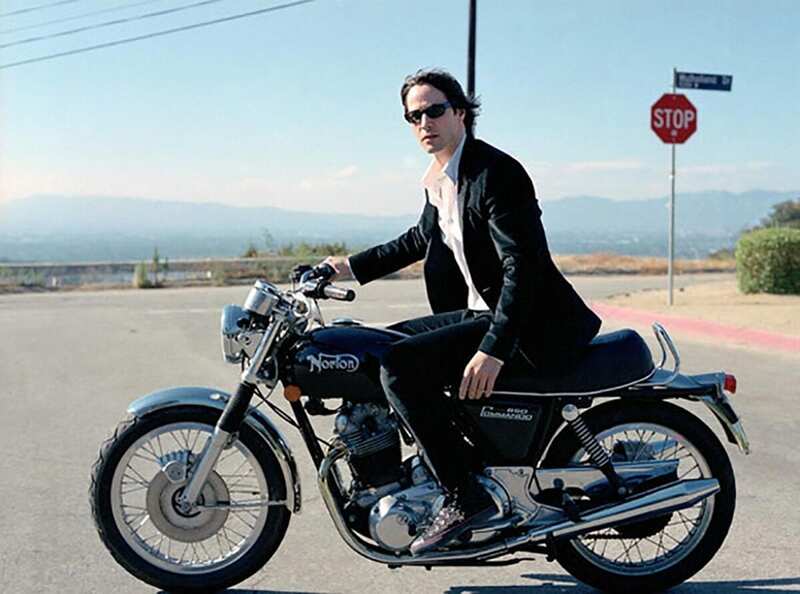 Keanu, is it true you like riding bikes so much that you only have a couple of cars that you hardly ever drive? Actually, I have just one car, a 2013 Porsche C4, but I’m on a motorcycle pretty much every day. The car just kind of sits there looking jealous! For me, motorcycles are my main transport, including when it rains. I actually like the occasional wet day – I think I’m one of the few people in LA who enjoys riding in the rain! But since Arch Motorcycles products only have room for one, if it’s raining and I’m taking a friend, then we take the car. Otherwise, I’m lucky that I get to ride something nearly every day that I helped make happen. How did your passion for bikes get started? I was 22 and doing a picture in Munich, and this young girl at the sound stages had an enduro bike. I asked her if I could ride it and she coached me in doing so. When I got back to Los Angeles, I bought a KLR600. I rode that for a little bit, and then I got my first Norton. I am, yes – I have four Nortons, all Commandos. I love the shape of them, the upswept pipes, and even the smell of them and how they ride. I’ve still got the first Norton I bought, a 1973 850 Roadster I got in ’87, plus an Interstate, a Fastback, and a ’72 Combat Commando with Dunstall pipes I got in 1989. The Interstate has a big tank, Axtell cams, I raised the compression a little bit, and put rearsets on it, with Koni shocks and heavier fork springs. And then the Fastback’s a bit of a mule – it has a ’68-’72 engine off a racebike. Do you have one of the new 961 Nortons, too? We [Gard and I] actually just went to the Norton factory and hung out with Simon Skinner, the designer – Stuart [Garner] the owner was away. They were really gracious in taking the time to show us around, and tell us what they hope to do. They let us ride the bikes, so I rode a new Dominator, which is pretty neat. Certainly, the way Norton has come around to make something pretty special and cool is an inspiration to us in relation to Arch Motorcycles. I guess they’ve got almost a hundred years on us as a brand, and hopefully one day we’ll have that kind of legacy. Anyway, that’s what we’re hoping to do! For the past two years, Gard and I have been making this motorcycling and manufacturing tour of the world; to try to meet other engineers, designers, creators of motorcycles, and take a look at other areas of biking. We’ve been to Italy and met with Ducati, Ferrari, Bimota and Vyrus, and now Norton here in England. So how did you become a motorcycle manufacturer yourself? Why start Arch Motorcycles? For myself, I guess you have to start with a dream, and the desire to do something with it. I had a [Harley] Dyna I was half-finished customising, and I went to see Gard about making a throne seat and a cissy bar for it, but once I saw what he was doing, I asked him to make me a Custom bike. He built the prototype, I rode it, and it was amazing. It fits how I like to ride – I like being able to cruise, but then I also like the curves. When he’d finished it I kept going – wow, that bike needs to be out there in the world. The way the machine rode was something I’d never experienced. A forward control big V-twin that handled that way was something really special. But with the right gearing and right mapping, it’ll happily do 140mph. 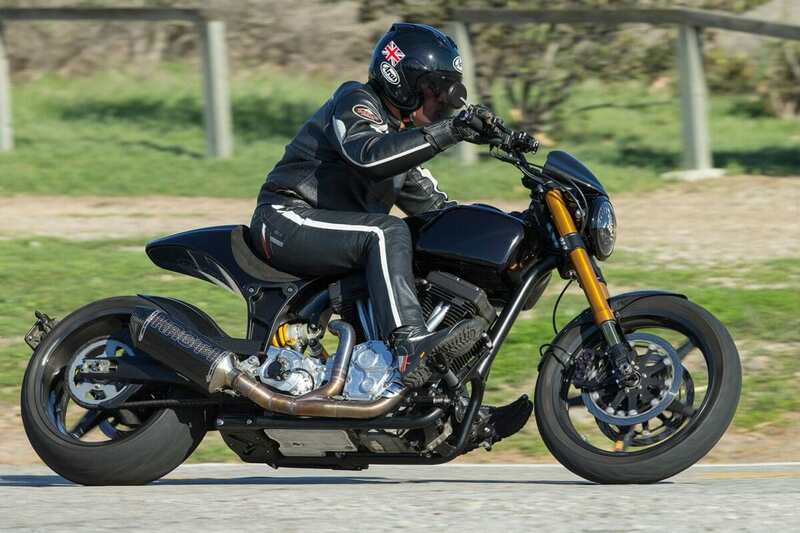 I wouldn’t say that – for me when I think of other machines that I would put it in the category of in terms of the riding experience and what it does, I’d say it’s closer to an older air-cooled Porsche. 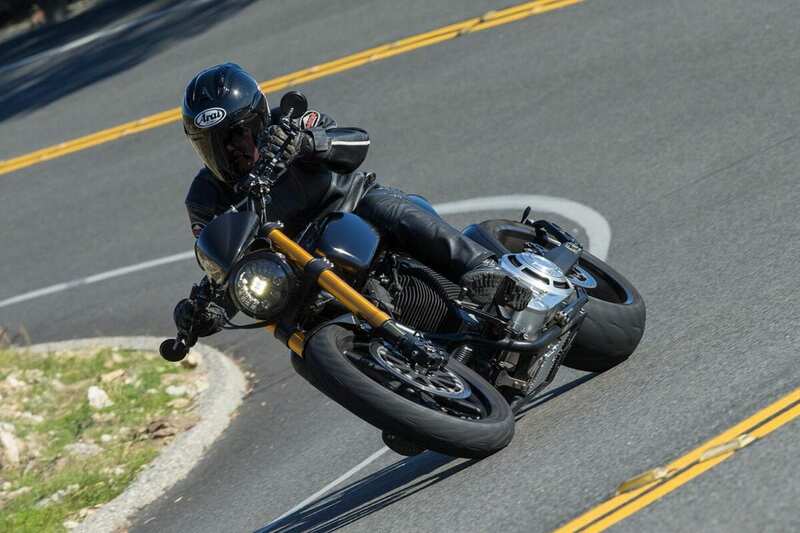 There’s some other bikes that have elements of it, like the Ducati Diavel, but that’s not got an American V-twin motor – it’s a whole different beast! You’ve got a big V-twin with a lot of torque, and a really performance orientated experience in that it handles, turns in, and holds a line. It’s got a long wheelbase but it’s very stiff. 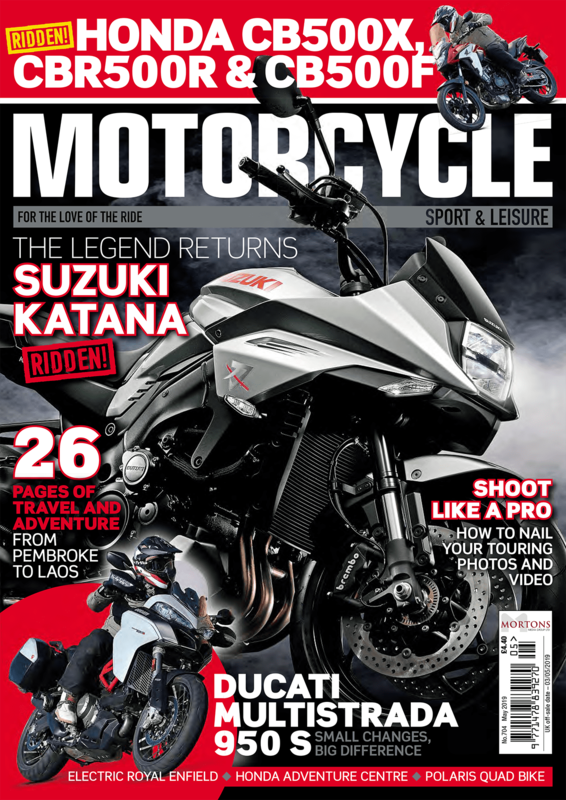 It’s very comfortable for cruising, but when you get into the corners – you’re not going to rub your elbows, but it’s got a 240 rear tyre, and you can use all of it! So having ridden this motorcycle, what happened next? I asked Gard if he wanted to start a motorcycle company with the two of us together to build this bike, so other people can have the same experience I did. Gard and I got to know each other well over the years while he was developing the prototype, and we really have a common aesthetic and sense of humour. So I told him, I have this idea of starting a motorcycle company – which looking back was pretty weird. I mean, why would I ask him if he wanted to start a motorcycle company when he already had LA Choprods, and still does! Well, from what I hear he took some persuading?! Gard said no a lot – but eventually for whatever reason the no became a definite yes. End of 2011. So we started up Arch Motorcycles and found a factory. We don’t make everything ourselves – our engine comes from S&S, our transmission comes from Baker, our suspension comes from Öhlins, and they all do something a little different for us. But there’s over two hundred parts in the motorcycle that we build in-house for it. So together you’ve created this motorcycle that I can confirm is really fun to ride. Did it turn out as you expected? If you mean riding, yes. We wanted it to be a rider, not just a bar-hopper you can profile on. One of the things with a custom motorcycle is they don’t lean, they don’t turn in, they don’t feel confidence-inspiring, nor dependable. 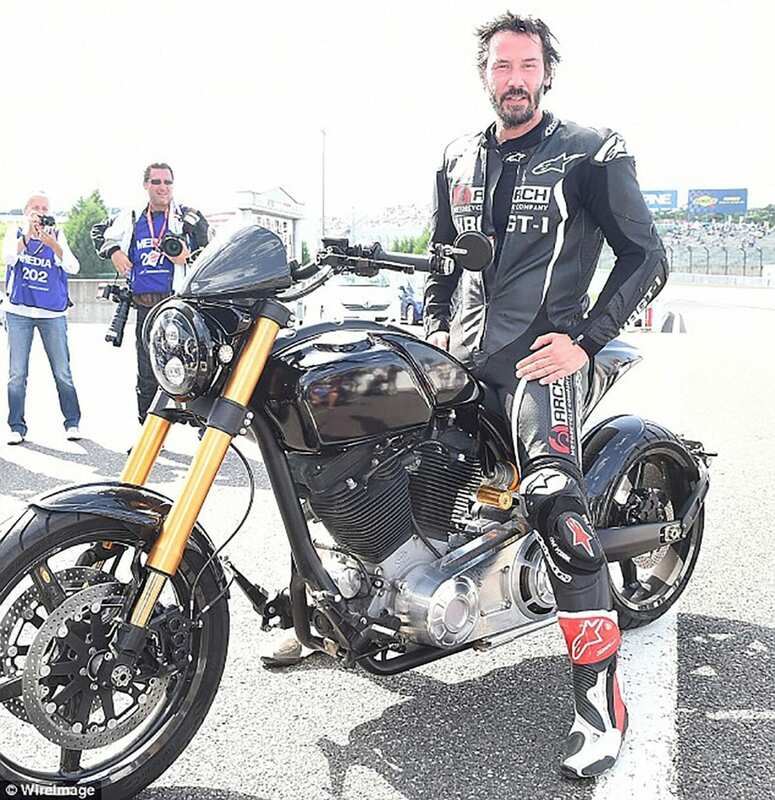 And for me I remember this from the very beginning – I wanted a cool-looking custom motorcycle that you can really ride hard on – and on ours you can, you really can, you experienced it for yourself. How did you like our torque? Fantastic – a three speed gearbox would be enough! 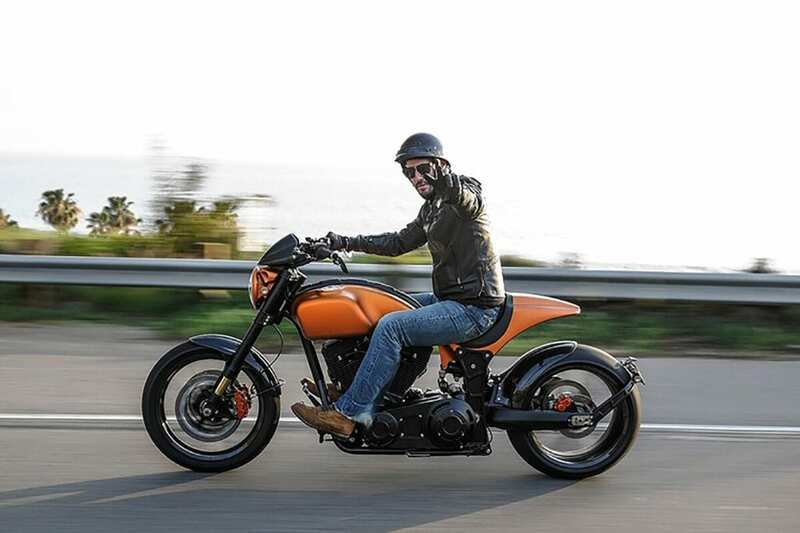 Are you enjoying being a motorcycle manufacturer? I am – very much indeed. I like telling stories, or being part of a story. It helps in acting, you’re telling a story, creating something – so I feel really honoured and privileged to be working with Gard on telling the story of this dream. Hopefully people will love it.